Most Malaysian chess community know who is in the above picture. He is non other than Andrew Ooi aka Gilachess. 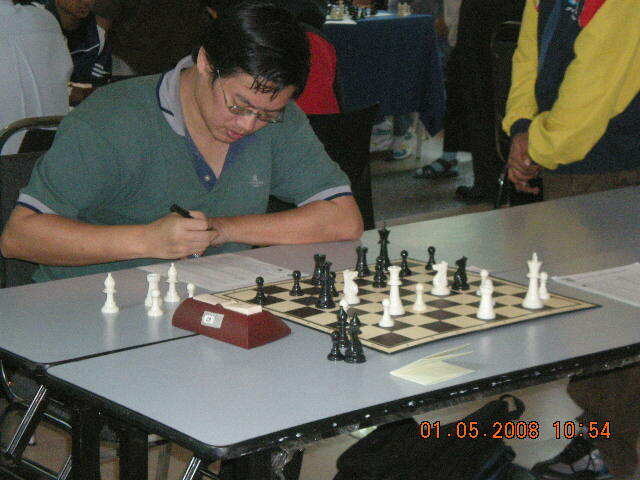 For GiLoCatur, he is the sifu, otai and pioneer of the Malaysian Chess Bloggers. He has been contributing a lot to the chess blogging in this country. What is his latest significant contribution? A one-stop center for about 30 Malaysian chess blogs or websites. Check out the one-stop center with the theme of "ALL THE MALAYSIAN CHESS NEWS IN ONE PLACE" here if you don't want to miss any blog update. GILOCATUR TERIMA EMEL DI ATAS DALAM GMAIL INBOX. SEKALI PANDANG NAMPAK MACAM ASLI (GENUINE). TETAPI JANGANLAH "TIPAH TERTIPU". GMAIL SESEKALI TIDAK AKAN MINTA PASSWORD DARI PENGGUNA. MEREKA BOLEH DAPATKAN DARI DATABASE JIKA PERLU. KENAPA PERLUKAN MAKLUMAT PASSWORD? KENAPA TIDAK TANYA MAKLUMAT DAN INFO2 YANG LAIN? KENAPA GMAIL TEAM PERLUKAN MAKLUMAT DARI PENGGUNA JIKA DATABASE MEREKA BERMASALAH? FYI, GMAIL ADA TECHNICAL TEAM YANG BERKEPAKARAN DAN BERKEMAHIRAN SANGAT TINGGI. SO, JANGANLAH ANDA TERPEDAYA. APA YANG PERLU ANDA LAKUKAN? ANDA BOLEH IGNORE ATAU BUAT TAK KISAH SAHAJA. JIKA ANDA RAJIN SIKIT, BOLEH BUAT LAPORAN KEPADA PUSAT BANTUAN CYBER999 YANG DIKENDALIKAN OLEH CYBERSECURITY MALAYSIA. CyberSecurity Malaysia adalah agensi di bawah Kementerian Sains, Teknologi dan Inovasi yang bertanggungjawab dalam aspek keselamatan siber dan menggalakkan keselamatan Internet di kalangan pengguna di Malaysia. Klik di sini untuk maklumat dan info lanjut. Nak tahu berapa statistik insiden penipuan internet di Malaysia tahun lepas? ... Pusat Bantuan Cyber999 telah menerima sebanyak 3,564 aduan mengenai insiden penipuan dalam internet iaitu meningkat 68 peratus aduan berbanding tahun sebelumnya. GiLoCatur yakin angka tersebut akan bertambah berkali-kali ganda seandainya semua rakyat Malaysia prihatin untuk membuat aduan. Untuk berita lanjut, klik di sini. Jika anda perlukan maklumat lanjut tentang perkara berkaitan dan cyber security awareness, sila ke laman sesawang CyberSAFE. Sebagai contoh, kepada semua parents yang perlukan tips untuk mendidik (educate) anak-anak tentang keselamatan bila menggunakan internet, link berikut - TEACH YOUR KIDS ONLINE SAFETY dan berikut, pasti amat berguna sekali dan diperlukan. BE SMART! TAKE CARE YOUR & YOUR KIDS SAFETY IN THE NET! Don't worry! The above team is NOT "The Bangkok Red Shirts"! But they are the famous Shah Alam's 17ChessClub gang. Would they participate? Could they become the DATCC Dream Team Chess Weekend Champion? ONLY THEY HAVE THE ANSWER! Received below email from Najib Abdul Wahab, the DATCC Program Manager/Coordinator, about 5 hours ago. Another chess event coming up during a long weekend at the end of this month. 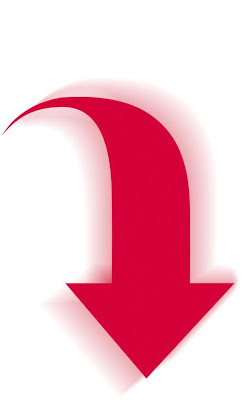 You can download its Microsoft Word document here. “DATCC will be organizing the DATCC Dream Team Chess Weekend during the Wesak Day long weekend at the end of the month on 29th and 30th May (Saturday/Sunday) to complete the variety of events that it has to offer to the chess community in the country. In line with its status as the premier chess centre and organizer in the country, the Team Event is one of the main activities organized by DATCC aside from the Individual Rapid events, Blitz, DATCC Commercial League, etc, including co-organizing the “Learn Much Better Chess with GM Ziaur Rahman” program. All players in these 3 categories must be Malaysian Citizen. In order to qualify for the category prizes, each category must have at least 3 teams participating. The entry for the event is RM 120 per team for all teams. Berikut adalah sms dari Sarjan Ismail Ahmad yang mengetuai kontijen kecil Malaysia yang bertarung di Kejohanan Catur Komanwel di India. Kejohanan 11 pusingan baru saja selesai semalam 18 Mei 2010. Bukan senang untuk melahirkan juara sebenarnya, memerlukan pengorbanan dari segala aspek. GiLoCatur berharap pemain-pemain catur cilik Malaysia - Subramanian, Nithyalakshmi, Jagathees dan Nur Islamurni, ini akan meneruskan kembara mereka dalam sukan catur dan seterusnya mengharumkan nama MALAYSIA di masa hadapan. SYABAS dan TAHNIAH kepada mereka terutamanya kepada Sarjan Ismail yang bertungkus lumus memberikan tunjuk ajar. Message from Ismail Ahmad :U10 g.johan darling tiffany charne.afrika s. n.johan.nithyalakshmi. malaysia ke3 tejaswini india.u8g johan.kaul palkin n.johan.adyasa mahapatra dua2 india ke3 nurislamurni yahaya.malaysia. hadiah hanya 3 setiap kategory.walau sy dpt 5.5 mata sy puas hati krana tanggungjawab jadi jurulatih bjaya.6jam sy latih spanjang hari disini islamurni berbaloi.game sy .sy abaikan bg sokongan di blakang dia.t.k.kami sdang tunggu pnyampaian hadiah gambar sy masukan dlm face book sy sbentar lg.la ni 4.45pm.hadiah jam 5pm. Jika ingin view gambar-gambar mereka di Delhi, India sila ke facebook beliau di sini. Membaca merupakan salah satu hobi GiLoCatur. GiLoCatur rasa bertanggungjawab untuk sama-sama mengajak semua rakyat Malaysia terutamanya generasi muda agar rajin membaca untuk menjadi satu masyarakat yang berilmu dan lebih maju. 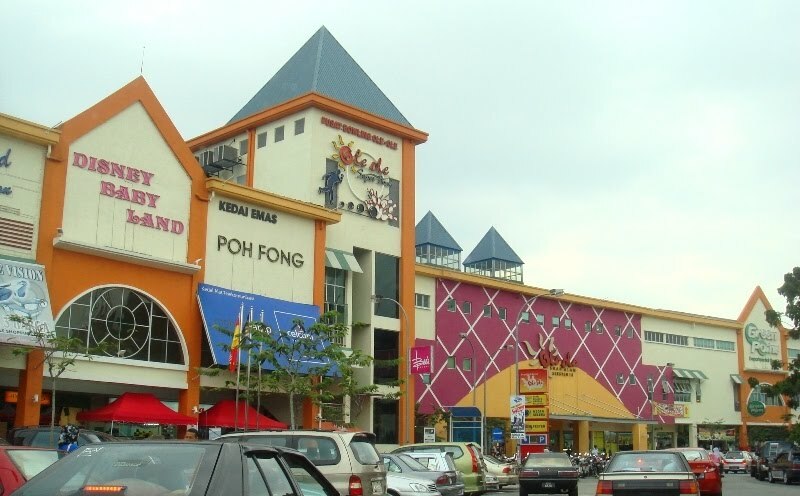 Justeru itu, GiLoCatur ingin mengajak semua anak bangsa agar pergi ke MIECC di Mine Resorts untuk menyertai READ MALAYSIA 2010, bermula dari 4 sehingga 13 Jun, dari jam 11 pagi hingga 10 malam. Untuk maklumat lanjut, sila ke laman web berikut. Actually, chess is among the sport events organized in the indoor games at both public and private sectors in this country. It is just that they are not reported or covered in any chess blogs unless if chess bloggers participated either as a player or an arbiter. So, GiLoCatur would like to urge anyone who knows about any chess event organized by government agencies or private companies, please alert or inform to any chess bloggers to be included in their blogs. By promoting chess among the public and private sectors, more talents may be emerged and came out. Hopefully, it will spark more interest to more Malaysian workers to be involved in chess especially participating in chess tournaments. While accessing JPN's website (http://www.jpn.gov.my/sukan-dalaman-jpnm) a while ago to check the status of myKad of GiLoCatur's daughter that was applied about two weeks ago, the above picture was spotted. The above picture is a chess tournament during 2009 JPN's Indoor Games. Hari ini adalah 16 hb Mei. Suatu tarikh istimewa buat seorang guru. Kerana 16 hb Mei merupakan HARI GURU. GiLoCatur ingin mengucapkan SELAMAT HARI GURU kepada isteri tersayang, Cikgu NOR AZIZAH SULAIMAN, yang telah dinikahi hampir 15 tahun yang lalu. Beliau mula bertugas sebagai seorang guru secara formal dan profesion selepas menamatkan pengajian di sebuah maktab perguruan di Johor Baharu dalam tahun 1995. Semenjak awal tahun 1996, beliau telah bertugas dan mengajar di empat buah sekolah, sebuah di Perak dan tiga di Selangor yang dua antaranya di Shah Alam. GiLoCatur mendedikasikan sajak "Guru O Guru" oleh penyair ulung negara, USMAN AWANG, seperti di bawah yang dipetik dari http://www.moe.edu.my/hariguru/sajak.htm khusus kepada isteri Cikgu Nor Azizah. Semoga sentiasa berdedikasi menabur bakti kepada anak bangsa. This tournament was held to select the representatives for Kelantan state in the coming National Closed. It was held at the hall of a high school in Kota Bharu named SMK Putera. The format of play is G/45 (45 minute time control) of 6 rounds. Twenty four (24) players participated in the event to select two sponsored players for the National Closed. The event is very well covered because few active bloggers were among the participants and the results were uploaded by the arbiter to the chess-results.com as per this link. Check out the following blogs - caturkelate, badbishops, My Chess Life and Naserov (warning! in Kelantanese dialect). Hairulov also wrote about the event in his blog here. 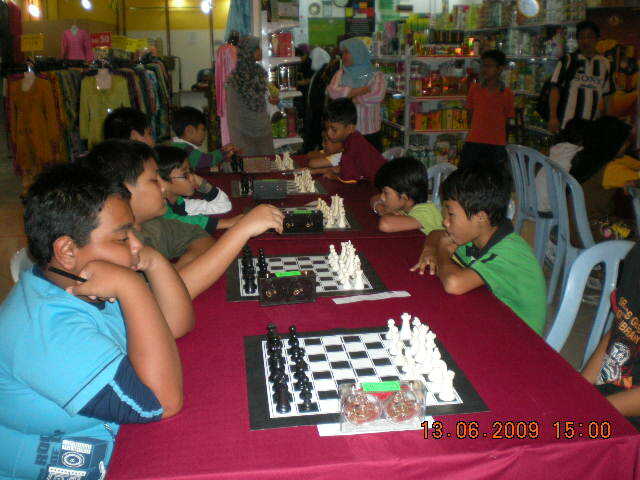 Perlis also held its chess event to select the players to play in the 2010 National Closed this June. Unlike Kelantan, Perlis uses G/25 rapid format (25 minute time control). The tournament which was held at a high school in Arau called SMK Syed Ahmad yesterday, uses six (6) rounds SWISS format. Go to Syed Chess blog here to know who will officially represent Perlis in the National Closed. Two state closed championships completed. Two more will be held at the end of the month - Kedah and Perlis. GiLoCatur is very happy to note that a two-day chess tournament held on last Friday and Saturday at UiTM Dungun Terengganu had attracted more than 100 chess players. It was a good turn out indeed. Suhaidi Mustaffa had emerged as the champion after winning 7 games and drew one in the fourth round. Seeded 8th with the national rating of 1639, he edged Hashim Jusoh and Nor Azmi Mohd Noor to second and third placings respectively. Click here for the final ranking crosstable of the tournament. Abdullah Che Hassan had won this event held at the Excel Chess Academy. He won 5 games and drew one to be crowned as the champion. Click here for the results details. Ian Udani won all his games of 7/7 to be crowned as the champion in the DATCC Sizzling Rapid which had attracted about 32 chess players today. Check out here and here for further reports and photos. Four Malaysian junior chess players are participating in this event currently still on going in India. They are Sivanesan siblings from Seremban - Subramanian (U12) and Nithyalakshmi (U10), Jagathees Guna Balan (U8) and Nur Islamurni Haji Yahaya (U8). They are led by Sargeant Ismail Ahmad. They had played nine (9) rounds and two more to go. Hopefully, all of them will gain valuable experience and lesson from the tournament. As far as GiLoCatur remember, this tournament is the second international stint for Sivanesan siblings while the first for both Jagathees and Nur Islamurni. Check out at the chess-results.com here for their full results. This tournament was held yesterday at Seri Nelayan Restaurant at De Laguna Park, Pulau Indah, Port Klang. About 78 chess players participated in two categories - the Open and the Juniors, including GiLoCatur. Check here for the final full results and here for the report by GiLoCatur. Hopefully, GiLoCatur does not miss any other chess event. What a weekend for chess events and activities in Malaysia. It goes well with the celebration of the National Youth Day on 15th May. GiLoCatur and all the three kids played in the Stonemaster Laguna Park Chess Tournament today. The six-rounds tournament is the second one held at the Seri Nelayan Restaurant located at the Klang West Port owned by Encik Abdul Malek Sayuti (below picture with white shirt) who also played. GiLoCatur registered in the Open category while the kids participated in the Juniors category. For this edition, there are only two categories - the Open and the Juniors. How GiLoCatur fared in this tournament? GiLoCatur won two and lost the other four meaning the score is just 2/6. GiLoCatur was not really concern about the results as GiLoCatur is not a strong chess player. GiLoCatur just enjoyed the games in this tournament. In the first round, GiLoCatur played against Nur Nabila at the 4th table. Not a bad game actually. Nabila had the endgame advantage compared to GiLoCatur's poor endgame technique and strategy. GiLoCatur won the second round playing white against Mohd Aidil Abdul Manap. In the third round, Abdul Salam Maamor, a stronger opponent, defeated GiLoCatur while Khairul Azam Mastuki, one of the Burger King sparring regulars, won in the fourth round. In the fifth round, GiLoCatur was paired against a lady teacher named Idawati Suliman. Actually, GiLoCatur made a blunder in this game but luckily managed to win at the end. In the last round, GiLoCatur could not win against the opponent named Zulkifli Mohamad (the above picture). There are few dramatic chess matches in this tournament. One of them is the game at table #6 between Vickie Hong and Yee Jian Yang in the final round of the Juniors section. Both their fathers were tense and nervous too watching their match. 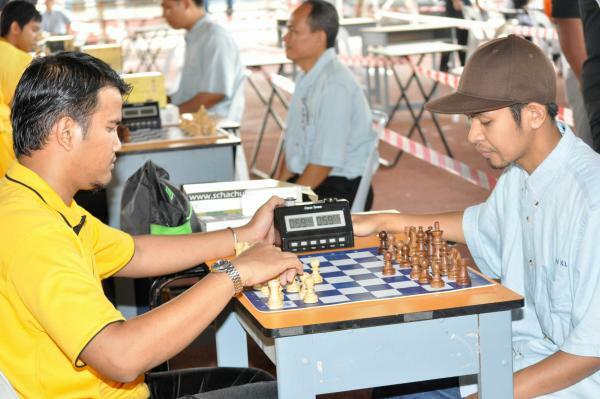 GiLoCatur's chess buddies - Mohd Fauzi Ahim (left) and Sahir Sarifdin (right), also participated in the tournament. Both were among the winners. Fauzi was not very well while Sahir had a battery problem with his car. But due to the love of chess both of them came by the way. The latter had to fork out 40 Malaysian Ringgits out of his pocket for a taxi fare. GiLoCatur salutes both of them for their determination.This kind of determination is needed in the Malaysian chess. Mohd Fauzi Ahim and Syed Abdul Rahman were involved in a very dramatic battle in the fourth round at table #3. Another GiLoCatur's chess buddy participated in the tournament, Khairul Azam Mastuki. A very tense moment for the chess match at the top board in the fifth round between Fikri Saleh and Winnie Hong Wee Ni, both Bukit Jelutong residents. A very supportive Mr Hong (in red shirt) was watching her daughter in action. The winner was decided by the flagship of the chess clock. GiLoCatur would freeze by time pressure. There is a debatable observation regarding gender and time pressure. GiLoCatur observes and believes that male chess players are better than female chess players in time pressure. Who agree? Who disagree? What a dramatic moment when Mohd Hussin Jamil (orange shirt in the above picture) collapsed because of a "black out" or 'pitam' after he just completed his first round against Premnath Kanagenthiran. No one knows why? After a short "cool-off" he continued his games. In the final round, he was involved in a dramatic chess match when he played against the top seed, Ahmad Fadzil Nayan at table #2 (below picture). Hussin managed to win the game and won the second spot after scoring 5/6 points. Azhar Mohd Said pointed out to GiLoCatur that the champion for the Open category is also the B18L category champion of the MSS Selangor while the champion for the Juniors category is also the B15L category of the similar championship. Check out here the final standings for the MSS Selangor Chess Championship held in Sabak Bernam in last April. So, congratulations to all the winners! How about the results of the other two kids? Anis Fariha scored 4/6 points after winning four and losing two. She lost to Vickie Hong and Puteri Rifqah in the second and fifth round respectively. With that, she won the Top Best Girl in the Juniors section. While Fahim Al-Faqeh tried his best in the tournament even though he has a fever. He won 3 and lost 3 games. He won his 2nd, 3rd and 6th rounds. His determination in his final round due to the "hot fever" would make GiLoCatur more supportive of his chess endeavour and journey. Untuk maklumat lanjut sila ke laman blog catur Persatuan Catur Terengganu di sini. In the above building where GiLoCatur with both Fikri and Irfan Haqqim played in the Sarawak Chess Open in November 2008. Below is the details of Sarawak Closed as per sent by Mr Lim Kian Hwa, the president of Sarawak Chess Association. 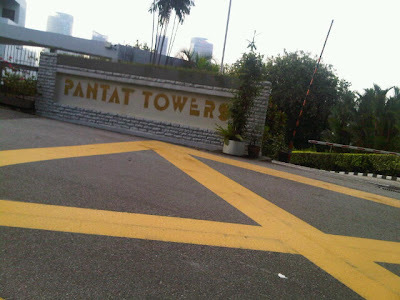 Entrance fees are RM20/= for PCS members and RM30/= for non-PCS members. Youth 16 years and below and ladies shall enjoy half of these rates. c. Borneo Cup Chess Championship etc. Beside, there are cash prizes totaling RM1,200 with several prizes reserved for youth. Interested Sarawakian players may register with any of the followings before 25 May 2010. Malaysians who are currently working or studying in Sarawak may also participate provided they have been in Sarawak for more than 2 years. SMS to the followings bearing the words “Chess Close”, name and year of birth is acceptable. Please help to inform other chess players or disseminate the information on your chess columns, blogspots or websites. Check out Seri Embun Homestay that is really impressive and "kampung-style". A very good alternative accomodation especially for chess players who participate in chess tournaments in Kedah or Perlis. GiLoCatur surely will choose this homestay whenever in Kedah in the future. Check out its blog -http://seriembunhomestay.blogspot.com/ for further details and the pictures of the homestay. In the blog also has links to several other homestays all over the country. Sajak dalam dialek KAMPAR di bawah nukilan GiLoCatur khas untuk semua para IBU, khusus buat BONDA GiLoCatur tercinta yang bernama Hajjah Rahmah Binti Kasid (gambar di atas) yang pada tahun ini (2010) menjangkau usia 80 tahun. Semoga bonda yang dalam dialek Kamparnya, AMAK, panjang umur dan sentiasa mendapat rahmat ALLAH SWT. Buat pengetahuan, AMAK GiLoCatur telah melahirkan 4 putera dan 2 puteri. Beliau telah dijodohkan dengan sepupunya yang bernama Haji Abdul Latif Bin Hassan Basri oleh nenek (uwo) mereka. Untuk pengetahuan juga terutamanya sanak saudara GiLoCatur, mereka berdua adalah dari keturunan Haji Djamin yang berasal dari Pulau Belimbing, Pekan Kuok Sumatera. Good news to all Malaysian chess bloggers. You have the chance to win cash prizes as well as to promote chess. Just participate in "PERTANDINGAN BLOG PELANCONGAN TERENGGANU 2010" that has three categories - School Children, IPT Students and Open. For further details, check out here. MASYAALLAH ... What A Picture!!! WOW AND WHAT THE HECK WITH THE ABOVE VANDALIST ACT! HAVEN'T YOU NOTICE YET, WHAT'S WRONG WITH THE ABOVE PICTURE? Gambar di atas dan cerita lanjut tentangnya dipetik dari blog Noraina Samad di sini. Beliau merupakan anak kepada Wartawan Ulung negara, Allahyarham Pak Samad Ismail, yang merupakan salah seorang idola penulisan GiLoCatur. GiLoCatur amat berharap agar semua pemain2 catur terutamanya yang remaja tidak tergolong dalam golongan vandalist yang suka membuat perkara2 tidak senonoh seperti di atas. GiLoCatur yakin semua pemain2 catur Malaysia merupakan warganegara yang bertanggungjawab dan bermoral. TAK GITU? JPJ Guna Kod Operasi "Chess Term"
JPJ atau Jabatan Pengangkutan Jalan menggunakan "chess term" sebagai kod operasi mereka. Bermula 1 Mac, JPJ telah menjalankan satu operasi yang dipanggil OPS CHECKMATE dalam usaha mengurangkan kemalangan maut di negara ini yang merupakan antara tertinggi di dunia. Sila klik link di bawah untuk maklumat lanjut tentang Ops Checkmate tersebut. Mungkin Malaysian chess fraternity bersama JPJ boleh bergabung mengadakan satu program awareness tentang operasi tersebut dengan mengadakan pertandingan2 catur. WHAT DO YOU SAY? GiLoCatur menggesa kepada semua rakyat Malaysia especially pemain2 dan peminat catur agar berhemah ketika di jalan raya sebagai menyahut operasi Ops Checkmate bagi membantu mengurangkan kemalangan maut. SAYANGILAH NYAWA ANDA! Hooray! Hooray! Hooray! 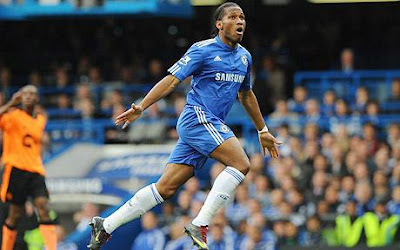 Chelsea has won the EPL. Sorry MU fans! What a wonderful game with a thumping 8 - 0 victory against Wigan to finish up this year EPL season. Furthermore, it is another hattrick for GiLoCatur's favourite Chelsea player, Drogba. YES! Shah Alam Ole Ole Chess tournament is back! Last year, the first edition was held on 13th June. The second edition this year will be held on 10th July. 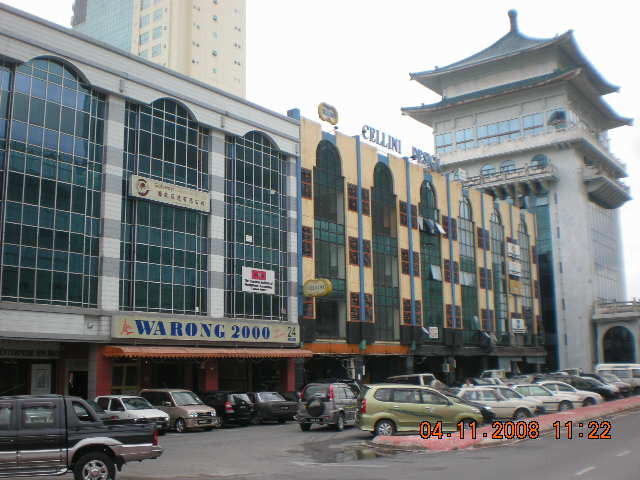 Surely the venue of the tournament is at the Ole Ole Shopping Center (above picture) located in Shah Alam Section 18. GiLoCatur and all the kids participated in the tournament last year. Check out the post about it here. How many players participated last year? About 50 participants in the Adults (above 12 years old) category and 30 youngsters in the Under 12 section. Who were the champions? NM Zarul Shazwan Zullkafli won the Open section while Subramanian Sivanesan from Seremban won the Under 12 category. Some basic info about the tournament. Limited to the first 100 entries only! Download the details of the tournament from this link. SEE ALL OF YOU GUYS THERE! For most Malaysians the above date does not mean anything. But for most Malaysians who had been staying or studying in the states i.e. USA, it would mean something. It would be a holiday and also it means fireworks. 4th July is the independence day for Uncle SAM i.e. USA, like 31st August to Malaysia. For this year's 4th July, it will fall on Sunday. There would be a chess tournament on that day. Where the tourney will be held? It will be organized by the Telok Gong Resident Association. Where Telok Gong is located? How to get there? Check out here. Below are some basic info about the tourney. The Prizes - The champions for each category will receive RM 500 (Open PRO), RM 300 (Open AM & Local) and RM 200 (Under 12). Check the detail prizes at the tourney document. In fact, the total prizes is worth more than RM 5,500. The tournament shall have 53 winners. Download the details of the tournament from here. SO, TO ALL CHESS PLAYERS LET'S GO TO TELOK GONG TO PLAY IN THE TELOK GONG PRO AM CHESS CHAMPIONSHIP! "ADA BERANI?" YES, TODAY IS CINCO DE MAYO (in Spanish) OR THE FIFTH MAY. IT IS THE 125TH (OR 126TH) DAY OF THE GREGORIAN YEAR. WHAT IS SO SPECIAL TODAY? WHOSE BIRTHDAY IS IT? 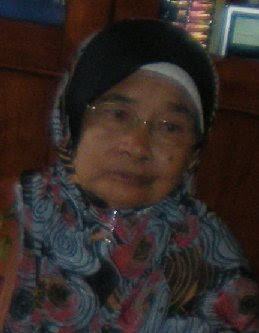 THE ANSWER IS NON OTHER THAN GILOCATUR'S LOVELY DAUGHTER, ANIS FARIHA OR SIMPLY KNOWN AS "KAKAK" IN THE FAMILY. TODAY, ANIS WILL BE EXACTLY 12TH YEAS OLD. GILOCATUR WILL BRING ANIS TO THE JPN OFFICE THIS AFTERNOON TO REGISTER FOR AN IDENTITY CARD OR "IC" AS POPULARLY KNOWN AMONG THE MALAYSIANS. HOW THE TIME FLIES! 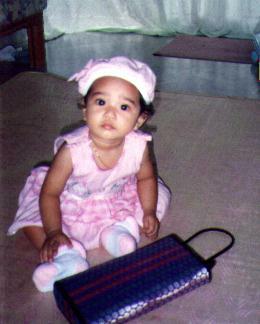 IT SEEMS JUST YESTERDAY THAT SHE IS THE CUTE AND SWEET GILOCATUR'S BABY (AS BELOW PICTURE). TODAY SHE HAS BECOME A YOUNG LADY ALREADY. AYAH, IBU AND YOUR BROTHERS - "ABANG" FIKRI AND "ADIK" FAHIM, WOULD LIKE TO WISH OUR "KAKAK" ANIS FARIHA A VERY HAPPY BIRTHDAY! "SEMOGA PANJANG UMUR, MURAH REZEKI DAN SENTIASA DIRAHMATI ALLAH!" 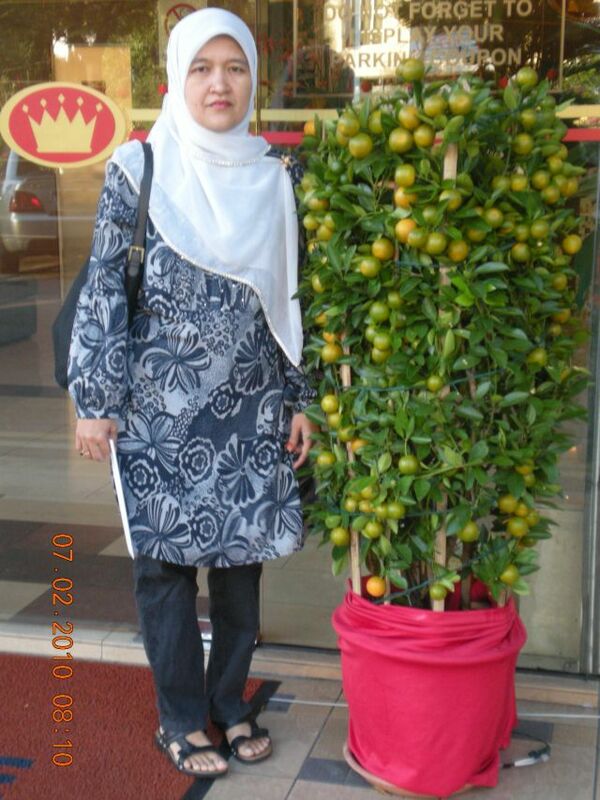 WISH HER BEST OF LUCK IN THE COMING UPSR AND WHATEVER SHE DOES INCLUDING IN CHESS. 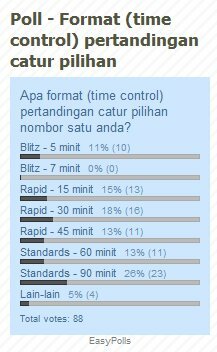 Hanya 88 yang memberi respons kepada poll - format time control pilihan. 39 % dari mereka yang prefer standards - 23 orang prefer 90 minit dan 11 orang prefer 60 minit / 1 jam. 40 orang atau 46% yang suka permainan rapid. Hanya 10 orang atau 11% yang gemarkan blitz. Keputusan poll ini pada pandangan GiLoCatur memang reflect dengan format pertandingan catur yang paling banyak diadakan di negara ini. Diharap keputusan poll ini dapat memberi insight dan info kepada para penganjur pertandingan catur di negara ini. "THE CHESS PLAYERS AND ENTHUSIASTS HAVE SPOKEN!" Homestay is getting popular in Malaysia. What is HOMESTAY actually? Below is as per what Wikipedia defines it. "Homestay is a form of tourism and/or study abroad program that allows the visitor to rent a room from a local family to better learn the local lifestyle as well as improve their language ability"
Why GiLoCatur wants to talk about it? Actually, GiLoCatur is surveying a homestay for a stay in Kangar during the MSSM Chess Championship that will be held during the first week of the June school break. It is much cheaper rather than staying in a hotel. The chess contingent for MSSD Petaling Perdana was staying in a couple of homestays during the MSS Selangor Chess Championship in mid April. GiLoCatur believes staying at a homestay should be part of the plan for a chess family who participate in an out of town chess tournaments or events. For the NAG tournament in Penang in last March, GiLoCatur had to spend more than 400 Malaysian Ringgits for a stay of four days. If GiLoCatur and family stays at a homestay, it will cost half of the amount. Therefore, GiLoCatur decides to stay at a homestay during the MSSM Chess Championship that GiLoCatur and family will stay overnight in Kangar for four or five nights. Surely, GiLoCatur needs not to learn about the language of the local family but the appropriately chosen surroundings of the homestay can be an excellent experience to learn a local lifestyle and for a vacation. As of now, Mata Ayer Homestay (check out for further details in its blog as per above) is the first choice for GiLoCatur. 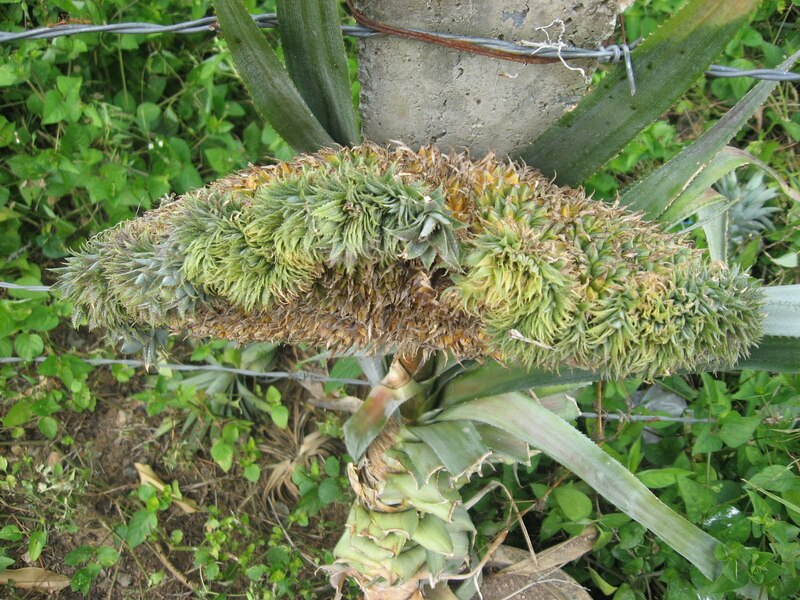 From what GiLoCatur understands, the homestay has a pineapple garden that impresses GiLoCatur. 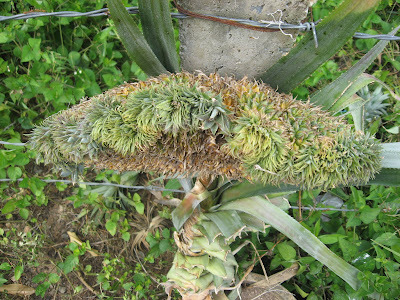 Below is the picture of a "PELIK" or strange / abnormal pineapple taken from http://plantingpineapple.blogspot.com/. So, folks especially for chess players who participate in chess tournaments in PERLIS, you have an alternative accommodation if you visit PERLIS and wants to enjoy the lifestyle there. All foreign visitors and holiday makers are also welcome to stay in the homestays to experience the Malaysian lifestyles especially the agroculture and fabolous natures. Just contact them to make the booking and arrangement. ENJOY YOUR STAY AT A HOMESTAY! Got an email from Najib Wahab (above picture) about two hours ago regarding a National-rated Rapid tournament that will be held at DATCC on Sunday, 16 May 2010. Following up from the previous DATCC Razzle Dazzle Rapid Chess Weekend, DATCC is coming up with its second rapid event, the DATCC Sizzling Rapid Chess Weekend which will be held at our center on 16th May 2010 starting with Player’s registration at 9:00am. This will be a nationally rated event and players will be seeded according to their National Rating points. With more prize categories offered for the Sizzling edition, the organizer is confident that the series will attract a bigger crowd compared to the previous DATCC Razzle Dazzle Rapid that attracted 52 players from around the country. Aside from the top 5 winners for the open category, and the normal category prizes for Under 12, Best Ladies, Top Pair for those rated below 1600 and 1400, the Sizzling Rapid is adding 2 more category prizes for Veteran Above-45 and Unrated, to attract those who are first timer to the local chess scene. The total prize fund that has been aside for this event is RM900 with the eventual winner to take home RM300.All in all, 13 prizes are up for grabs with 5 main prizes in the open section, 1 prize each for the Under-12, Ladies, Veteran and Unrated, and 2 prizes each for players with National Rating of below 1600 and 1400 respectively. Should you require any further information or clarification, please feel free to contact Hamid Majid at aham@pc.jaring.my or +6019 315 8098, or Najib Wahab at najib.wahab@chess-malaysia.com at +6016 338 2542. The attached entry form is for your perusals and references, and for registration purposes. 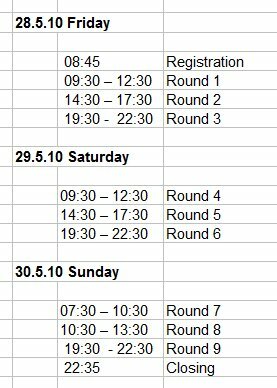 So, for all Malaysian chess players who want to improve their national ratings, join the tourney! Let's have fun playing rapid chess during that weekend. On Saturday in that same weekend, another rapid tourney at De Laguna Park organized jointly by Restoran Selera Nelayan and Cerdik Catur. 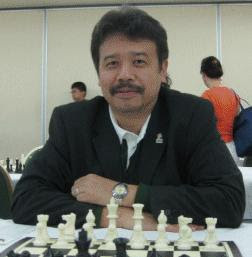 http://selangorchess.blogspot.com/ - The official blog of the Chess Association of Selangor or simply known as CAS. It has the the picture of the winners. http://www.gilachess.com/ and http://blog.gilachess.com/ by the "otai" Malaysian chess blogger, Andrew Ooi, who at the end could not participate in the tournament where he had pre-registered. As far as GiLoCatur acknowledges, Andrew of Gilachess has been chess blogging for many years. http://caturterengganu.blogspot.com/ by Muhammad Arshad and http://badbishops.blogspot.com/ by Badbishop that covers about Terengganu and Kelantan chess players respectively. http://stonemaster.info/ by Fadli aka Stonemaster who just got the Candidate Master recently. 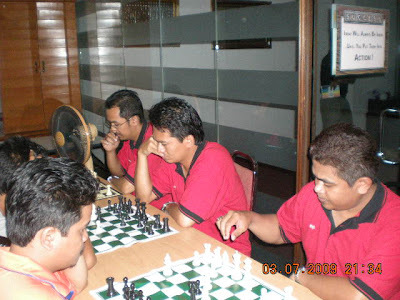 http://fireyrook.blogspot.com/ by a very passionate chess enthusiast, Shamsuddin Sabri aka fireyrook. http://mamakchess.blogspot.com/ by a Malaysian chess lover who just like to be known as a mamak, LOL. 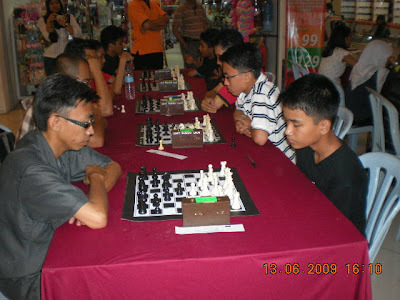 http://yatzchess.blogspot.com/ by a very passionate and enthusiastic young Malaysian chess player. http://datcchess.blogspot.com/ - the official blog for the DAT Chess Center, the venue of the tournament. http://2010chessodyssey.blogspot.com/ - interesting insights and perspective by Ilham, one of the tournament participants who is loyal to his home state, Terengganu it is. GiLoCatur's son, Fikri who played against him in the sixth round, is still long way to go to match his chess skills, tactics and strategy. note : sorry if GiLoCatur misses out any other blog. In terms of covering a chess event in Malaysia, many local chess blogs have taken the responsibility and challenge to promote and spark more interest among the society. Eventhough most of them have to juggle between work, study and family commitments to blog about chess in this country. Surely, still need much further improvement especially in the consistency of updating and report writing, they gives their best in doing so. GiLoCatur suggests that all the bloggers been given journalism seminar or workshop to improve their writing, reporting and blogging skills. GiLoCatur urges the local newspapers to do their social obligation to teach and train these bloggers so that sports coverage and writing can be done more professionally and better. Chess associations should take this matter seriously to help them in promoting chess in the country and improve chess development. Maybe they can collaborate with any local newspaper to make such seminar or workshop "a dream comes true". TO ALL DEAR FELLOW CHESS BLOGGERS, KEEP BLOGGING ABOUT CHESS THAT REALLY YOU LOVE!! TO ALL BLOG VISITORS AND READERS, PLEASE HELP US THE BLOGGERS WITH CONSTRUCTIVE FEEDBACKS, COMMENTS, SUPPORT AND MOTIVATION!! WE BLOGGERS WOULD LIKE TO THANK YOU FROM OUR DEEPEST HEARTS FOR VISITING OUR BLOGS AND SUPPORTING US!! Below is the final standings of the four-day Selangor Open, the 37th edition that just ended today. The top seed, FM Nocholas Chan, won the championship and bagged 2,200 Malaysian Ringgits after collecting 7.5/9 points. Click here to check the cross table results. Click here to check the complete round results.